The Audi A5 has had a pretty good run. 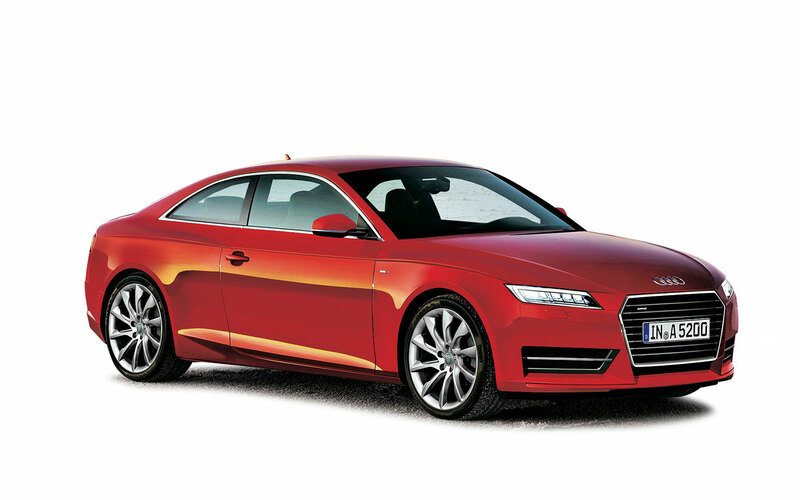 First launched in 2007, the A5 has undergone few changes in its six-year run. With three more years still on its life, Audi plans to squeeze as many sales from the A5 as it can muster. In late 2016, Audi will roll out the latest iteration of its mid-size two-door luxury coupe. This time Audi is aiming for lighter weight, with the car losing more than 220 pounds, according to Automobile. With an optional “Ultra” pack, more weight will be trimmed with lightweight bits under the hood like a compact A/C compressor and alternator. Additionally, Audi will bolt on lightweight wheels with hollow spokes and some aluminum body panels. As for tech, Audi will add a new MMI infotainment system controlled by a touch-pad. Under the hood, the A5 gets a bit more exciting with four engines options along with S5 and RS5 variants planned. Under the hood, buyers will find two 2.0-liter four-cylinder TFSI gasoline engines, one producing 175 horsepower and 221 pound-feet of torque and the other producing 222 horsepower and 258 pound-feet of torque. From there, customers can step up to a 2.0-liter TDI diesel engine producing 197 horsepower and 295 pound-feet of torque. At the top of the regular A5 range will be a 3.0-liter TDI diesel engine pumping out 272 horsepower and a massive 442 pound-feet of torque. We love the A5 and its high-performance S5 and RS5 variants. We can’t wait for a bit more modern offerings, though. As BMW pushes forward the 4 Series and Mercedes the C-Class, we anticipate a three-way brawl for German luxury coupe supremacy very soon.